My name is Jordan Draper, I’m a designer and artist from SLC, Utah. 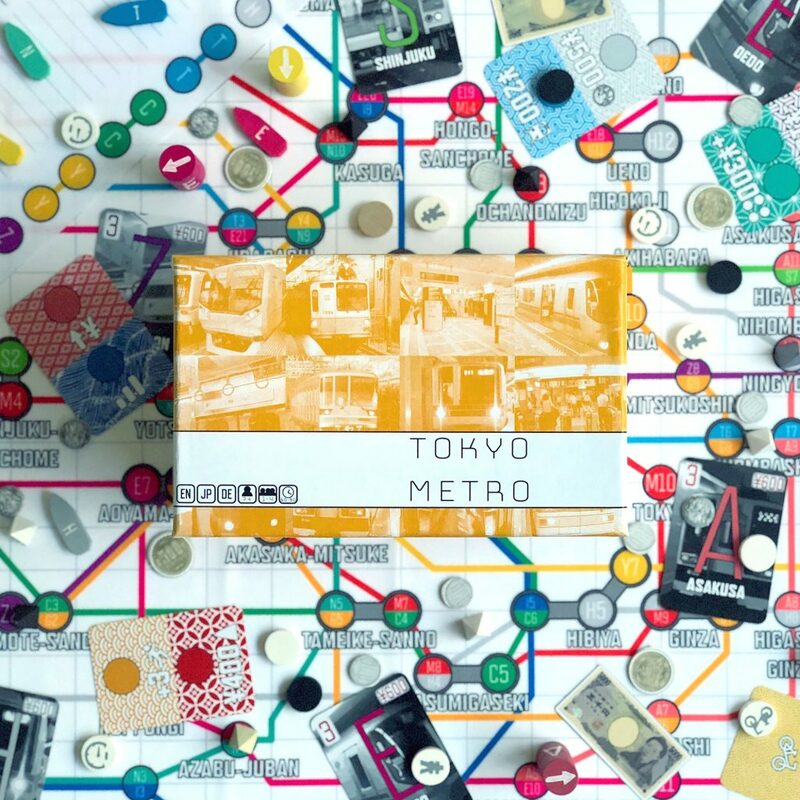 I am the designer, artist, and developer for the upcoming Kickstarter game TOKYO METRO. To find out more about the TOKYO SERIES, visit www.darkflightgames.com or Kickstarter.com/profile/Jordandraper. 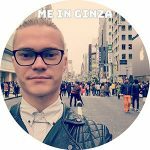 Like all of my designs, the original concept and inspiration is usually sparked from a real life experience and TOKYO METRO was no exception. Having lived in Tokyo for over a year, I loved riding the metro trains there, and more specifically figuring out the fastest routes with transfers. Film photo I took with a vintage 1960s camera I bought in Tokyo. This is where the initial spark came from, but the game was completely different at conception. It was originally a pick-up/drop-off game. The map however, was very similar, with the idea that you would pick up packages and use only the train lines to find the most efficient way to get from point A to point B. I designed the map as an exact replica of the real Metro map, with the exception of some smaller stations being removed. Play testing went well, but it suffered from too much down time for players who didn’t always have something to do on their turn. Toward the end of heavy play testing and tweaking, I had the game setup with a day/night cycle where the goal was to leave your home in the morning, pickup as many packages as possible, and make it back before sunset. This idea was inspired by the oxygen timer in Deep Sea Adventure. At the end of the day though, after a good 6 months of testing and improvements, the game was not up to my standards. Time to start over, but this time not completely. I decided that instead of scrapping the game altogether I would keep the metro map as is and use it as a design constraint. I’d decided to stick to my roots and create a heavy economic simulation. As I got rid of nearly every random element in the game and focused on a player driven economy, everything fell into place very quickly. Map comparisons, starting with the actual Metro map and working down to my first mock up, then a more polished version. There is something to be said for sitting with an idea in your mind for a prolonged period of time. Even after spending 6+ months on a single design, the solution can just pop into your head at a moments notice and encompass all of that past work! It’s a beautiful thing. I would describe my design style as ‘player driven, self-balancing’. What I mean by this is, I leave everything up to equal opportunity for the players. The game doesn’t dictate anything, and thus cannot become imbalanced. Worker placement and auctions are the perfect tools for this (in my opinion). No one can complain that they were dealt an unfair hand if they could have bid for turn order, and taken an action before another player. The same can be said for setup on a map, even if the map itself has better positions. In TOKYO METRO I took this concept to another level, by giving players the opportunity to not only invest in train lines, but to speculate on their opponents lines and cut out profits from their monopolies. There are also elements of ‘teaming up’, as you build stations that might split profits for you and another player-owned train line. The balance will always shift throughout the game, and reading this is critical. It is a true capitalist simulation with equal opportunity. Blind play testing is a brilliant way to discover if your game makes sense, and where improvements can be made. I value this tool of development over any other. Luckily the reworked version of TOKYO METRO had a great reception, and the list of suggested improvements were mostly graphical, with a few minor tweaks to yen circulation. One of the main complaints was that the patterns were hard to see past. 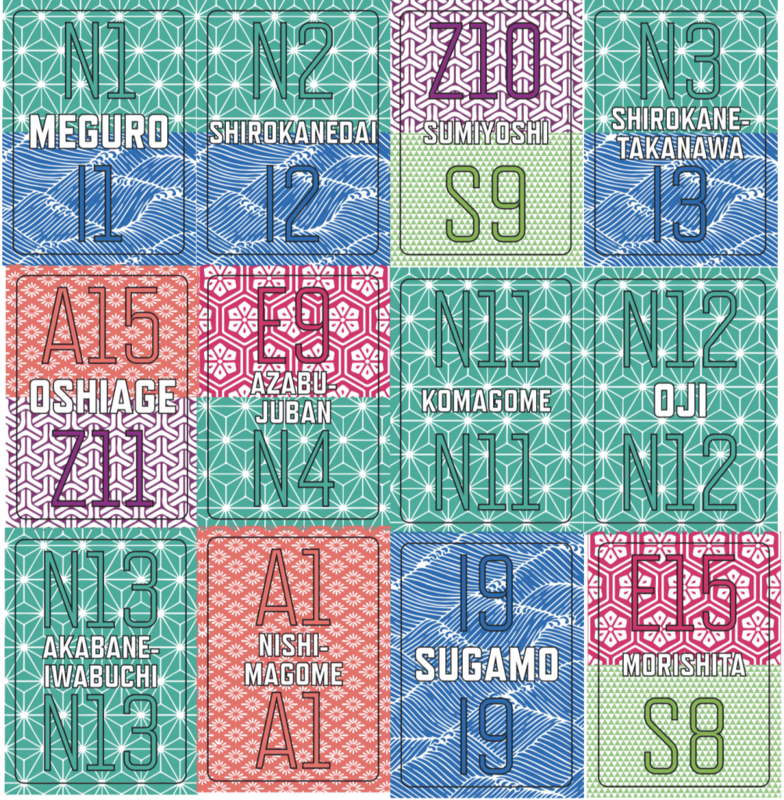 I used traditional Japanese kimono patterns on all of the cards, and I wanted to keep this aesthetic, so I had to change a few of them out and resize them until it made sense. I’m still tweaking things as improvements present themselves. Original concept cards from the first version of the game. The cards how have worker placement spots. Once I had this feedback, I reworked the map several times, the action cards, and started looking at more options for the 3D physical pieces. I love tactile unique one-off pieces in board games, so I strove to create some new shapes and unorthodox pieces for the game. I’m really happy with the results! Another constraint I put on myself was to make everything fit inside of my standardized large size box (this is the same box size as Import/Export). This is the largest box I plan to release, which means the map had to be fabric, and everything had to be just the right size to fit inside. When you look at most boxes in the western board game industry, they are just air inside! What a waste of cardboard and space… I vowed to fit as much as possible inside of my game boxes, and when you get METRO out onto a table, it is going to change your mind about box sizes. The game is a behemoth. Over a year and two game major game iterations later, TOKYO METRO is coming to Kickstarter, along with two other TOKYO SERIES titles! It feels great to have a polished product that I am proud of, and believe in. The TOKYO SERIES games are all a labor of love for me. 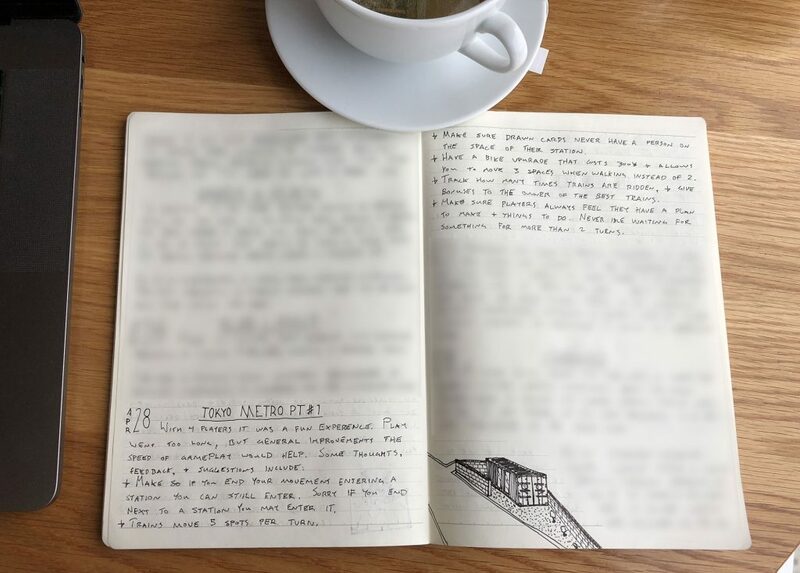 I have recently finalized the rules for adding JIDOHANBAIKI as an expansion to METRO as well, and it adds incredible depth to the game. It is my preferred way to play now. 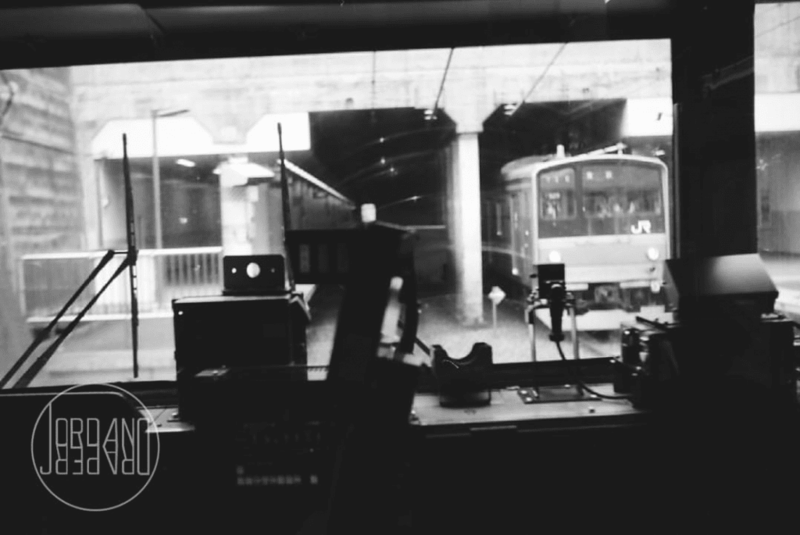 TOKYO METRO has been an amazing design adventure that ended quite far from where it began. I am very happy with the end product, and I’m sure anyone who enjoys economic or worker placement games will find something enjoyable in TOKYO METRO!